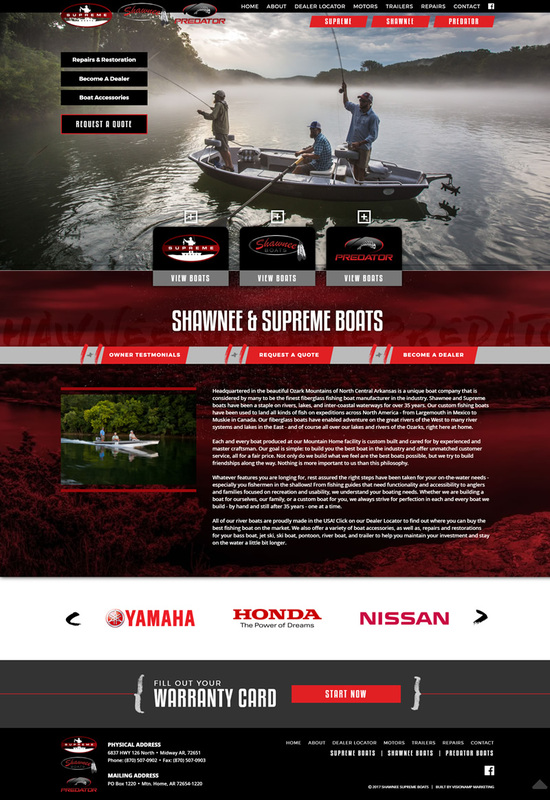 The Shawnee and Supreme Boats website was rebuilt to be more responsive and mobile-friendly. In addition to the responsive rebuild, we also changed up the site’s navigation and created new call-to-action buttons on the home page. Shawnee and Supreme Boats is located in the beautiful Ozark Mountains of North Central Arkansas. It is considered by many to be one of the finest fiberglass fishing boat manufacturers in the industry. Shawnee and Supreme boats have been a staple on rivers, lakes, and inter-coastal waterways for over 35 years.